JPEG was the most used for map for image and Paint files. With time, user have started shifting to other advanced formats, but JPEG is still widely used. This has a reason behind it. While compression of images, it doesn’t affect the visibility much, unless you push things off the limit. A few Windows updates messed up the situation and users started facing issues with JPEG images. Either they won’t open at all or would not function with certain apps. At times, users were unable to save Paint files in the JPEG format. The exact cause behind the issue is unknown but what we know is that it started after a certain Windows update. Thus, our approach to resolving the issue would be to work around the updates and a few other tweaks. 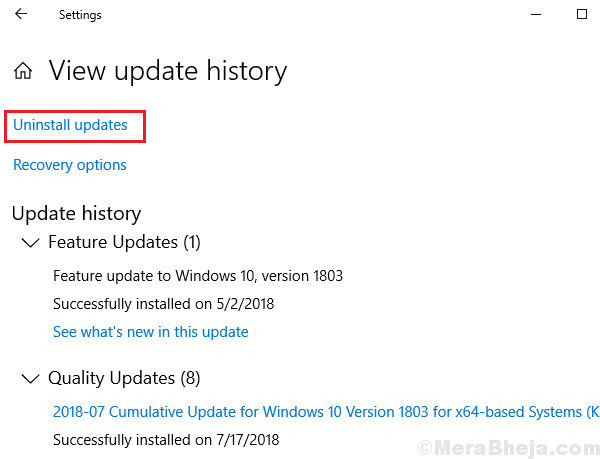 Since the issue was with a specific Windows update, Microsoft would be conscious to resolve the issue with simultaneous updates. I can confirm that the problem still exists, but if a fix comes any soon, we shouldn’t miss it. Here the question is how many updates should we roll-back. The problem isn’t new and if we start rolling back updates, it would be a long process. However, if you just started facing this issue after a recent updates, you might try rolling it back. 2] Go to Updates and Security and click View update history. 3] Click on Uninstall updates. 4] Right-click and uninstall the most recent update. 1] Press Win + R to open the Run window and type control . 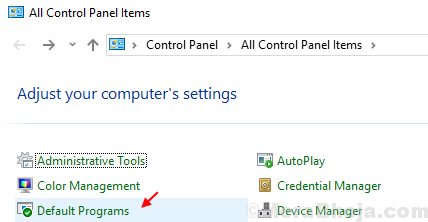 Hit Enter to open the Control Panel window. 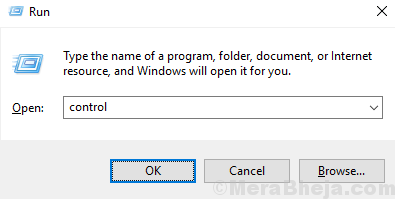 2] Go to Programs >> Default Programs. 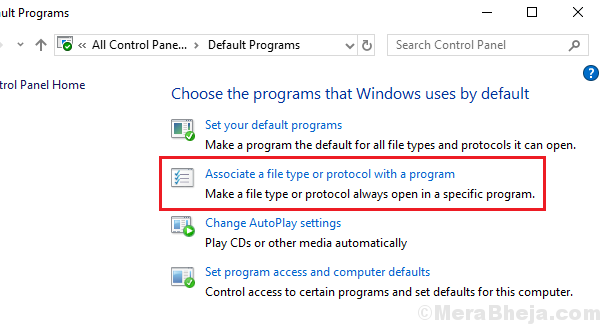 3] Select the option Associate a file type or protocol with a program. 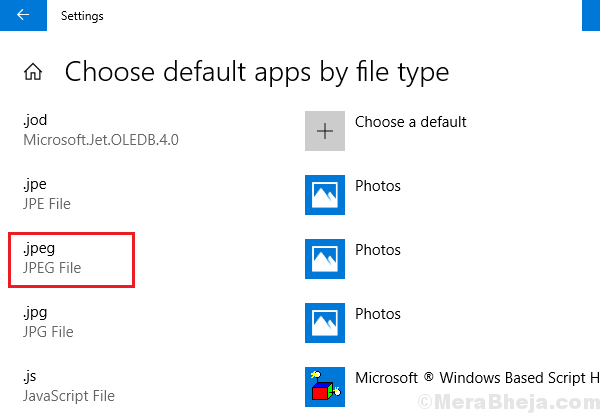 4] Now click on “Choose default apps by file type”. 5] On the list on the left-hand side, select .jpeg and the restart the system. We open .jpeg files with image editor application like Photos and Paint. The issue might be with these applications and not the system itself. Thus, we could reset these applications. 3] Locate the problematic apps like Photos and Paint. 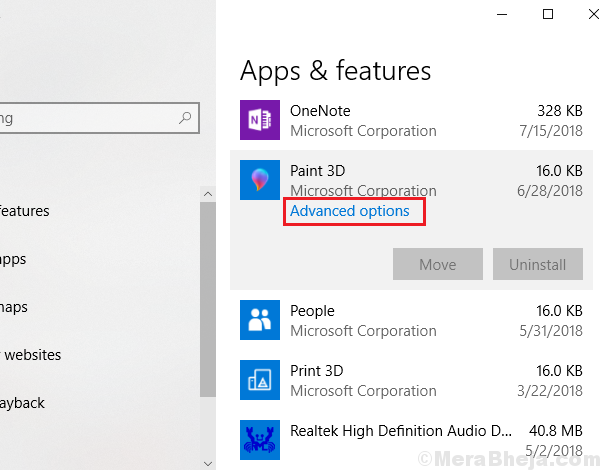 4] When you click on the app, select Advanced options. 5] Click on the Reset button and once the process is done, restart the system. 1] Press Win + R to open the Run window. Type the command PowerShell and press Enter to open the PowerShell window. 4] Restart the system and check if this helps. 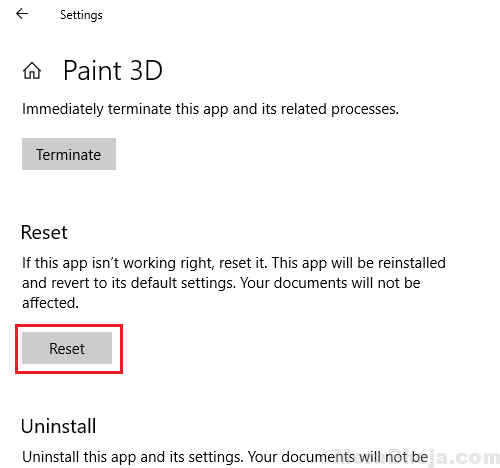 If an update prevented Paint and Photos from opening .jpeg files, we could use third-party application since they wouldn’t usually be affected by windows updates. Try any of the reliable ones available online.